A closer view of Mt Hood from my visit there on the Saturday before Memorial Day. 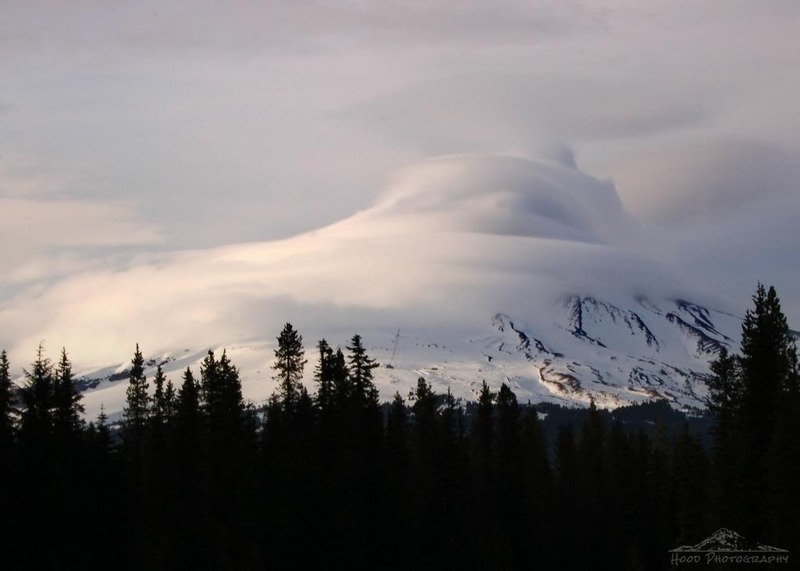 The clouds created a moving cloak around the peak, which was stunning to watch. Wow that is beautiful for sure. Gorgeous, it looks like a swirl of whipped cream! Looks like ice cream!! Boom & Gary of the Vermilon River, Canada. That is a prize winning photo. I think we are going to wish for some cloud cover by Saturday. What a gorgeous shot! Love the swirls - looks almost like a soft ice-cream cone! What a great photo! I love the range of gray colors in it. I've seen Mt Hood many times before in person and photos; this photo is one of the best I've ever seen--fabulous! Very pretty. It looks cold! looks like it is under snow. clouds can be dangerous for climbers. Stunning is the word, all right. It must have been something to see that amazing cloud mass in motion.